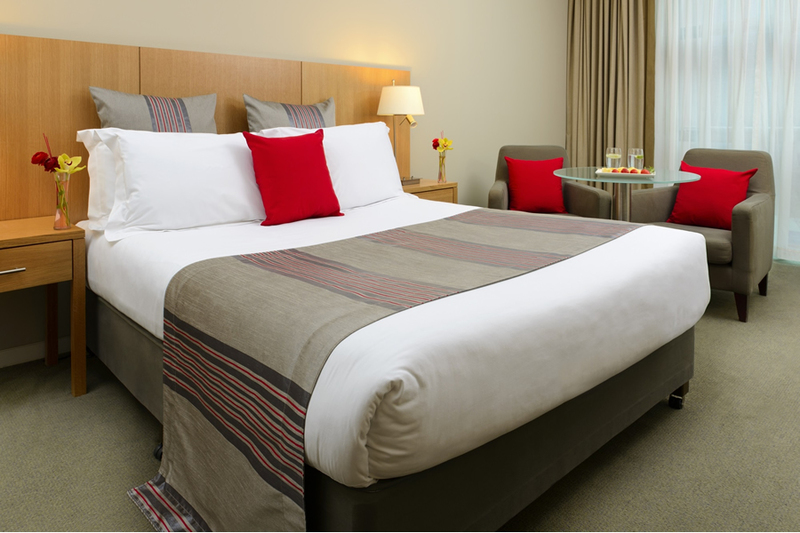 The Clayton Hotel Dublin Liffey Valley has 352 spacious bedrooms, decorated in light modern colours, many with floor-to-ceiling windows. Rooms include LED Flat Screen TV, free access to our 100MB Wi-Fi Internet access, and a 24-hour room service menu.Please Note - A â‚¬50.00 deposit is required upon check in for those making payment with cash or debit card. This due to security, the deposit is held to secure the hotel room and items within the room. 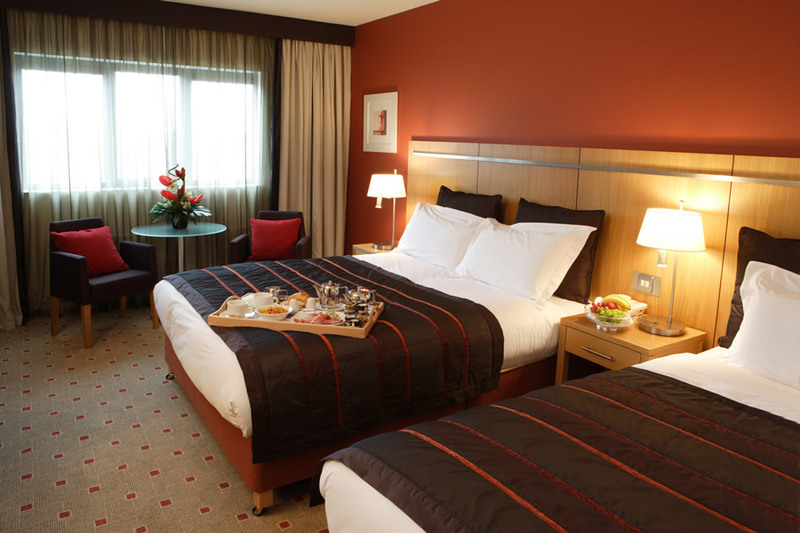 The Clayton Hotel Dublin Liffey Valley is located on the N4, close to the M50, on the orbital route around the developing suburbs, just 6 miles to Dublin's city centre, and 9 miles to Dublin Airport. The hotel is located close to the bustling Liffey Valley Shopping Complex with 100 well-known high street shops, Vue Film Centre, and a good variety of food outlets. Both family cars were damaged in the hotel carpark which we had to pay £6 per night. The hotel done absolutely nothing to help which spoiled an enjoyable Santa express visit in Dublin. Nice hotel ,spacious rooms .The only negative experiece we had it was a staff in Kudos restaurant ,They ignored us for very long time ,and when I ask If someone can take our order ,that child is nearly falling asleep still nothing happend for long time ,no smile ,or agnowledgement that we are actually there ,we left after 40 min .in those 40 min we did not get even dring order. At a business presentation for 2 days. Food was fab. Pool needed cleaning. Staff were excellent. Great location, handy rather than having to go into the city. The hotel is beautiful and clean. However, the rooms are not soundproof, at 7am you could hear a full conversation in the next room, could hear the doors open and close. it was a nightmare as l was looking forward to sleeping in till 9am. Unbelievable hotel. Had unknowingly booked into a twin room and was upgraded for free to one of the suites. Was late down for breakfast and still allowed in for it. No complaints about this hotel. Would recommend to anyone staying in the Dublin area. We were very pleased with all aspects of the hotel and will definately return. Nice hotel and excellent value. Breakfast queue out the door if you don't get there before 9am on weekends. Main issue was late night noise (1am) in the corridor from other guests on the Bank Holiday weekend. I suggested to the receptionist that they put up some 'Quiet Please from 11pm - 8am' signs similar to other hotels. Will be back to check if they actually do it! Was a great trip.The staff were great and its a family friendly hotel. the Hotel was really nice...staff very friendly & efficient... family room spacious & sound proof...food in Kudos bar was lovely...Gusto restaurant was expensive but food was also nice...Kids club with silly sally went down a treat with my six yr old...pool was lovely & warm...would highly recommend this hotel. The car park is 6 euro a night...they could give a ticket to cover the stay. My husband and I with our teen-ager spent a two night stay for midterm. This is a lovely hotel a few minutes walk to Liffey shopping centre and cinema .we really enjoyed our stay. Really enjoyed our stay here. We had a very spacious double room with a sofa. Both the bedroom and the bathroom were spotlessy clean. Dinner in Gusto was very good and the staff were very friendly and helpful as were the bar staff. The self service buffet breakfast was also lovely. Would definitely stay here again. Great value. Enjoyed our stay in the hotel. Staff were very friendly and the food was lovely. Two issues I would like to point out. Firstly the bedroom was very hot and stuffy, even though we had the window open all night. Secondly, I was dissappointed that there was a €5 overnight parking charge even though we were staying in the hotel. Nice hotel great location beside the Shopping Centre and was handy to get into the 3Arena about 20 min drive. Food in the bar was lovely. Staff friendly and helpful. We have just returned following our stay at the Clarion, a party of 5 adults and nine children were greeted by a very warm welcome by reception staff on check in, tasty and affordable food in the dining room with make your own pizza and childrens entertainment(face painting and baloons) exceptional staff throughout the hotel, very enjoyable stay for everyone. we had a very nice stay in this hotel as we were having a family reunion .The Hotel room was clean but could do with a few repairs to the walls as the plaster needs to be repaired.The staff were friendly but were clearly overworked on the night ,it was a Bank Holiday weekend and there were a lot of families with children running around .The restaurant was fine for breakfast but dinner was a little disappointing.I ordered garlic bread as a starter but i received a tough piece of crisp bread topped like a bruschetta,not nice at all i then ordered a pasta dish with sausage ,i actually would have preferred the pasta on its own as the sausage was much too big and chunky a good few of our party did not finish our meals .Overall we enjoyed our night out with our family but next time i might not pick a busy Bank-Holiday weekend when staff are rushed off their feet. I found the hotel excellent and use it often if I am in Dublin for meetings or for pleasure. Coming from the West it is very handy - rather than going in to town to find hotel accommodation. Rates very affordable given the rates charged by Hotels in the centre of Dublin. My family also like staying here - good rates, good facilities, helpful staff, good food. My only issue with the Clarion @ Liffey Valley is the fact that you have to pay for car parking €4 even though you are staying in the Hotel. Katie. Nice hotel, good standard of cleanliness in the rooms and most of the staff were very friendly and helpful. Find the parking fee a bit much when you are staying in the hotel. Dinner was lovely and very good for our toddler. Only 2 complaints we would have, the room was way too warm, with a fan in the corner, no option of sheets on the bed. It wasnt a warm time of year so shouldnt have been that bad. The other would be the shower, it went from hot to cold and vice versa and absolutely no power in it. Good location as we were only 15 mins from the zoo avoiding the m50. Overall its a good spot for young families. Good facilities with swimming pool and outdoor and indoor play area's. Room was a bit on the small side, but there was a decent sized fridge. Food was good. Evening meal very tasty, but menu limited for coeliac's. Some other small gripes: Lighting very poor in Kudos bar for breakfast buffet. Paying for parking each time you exit the car park is somewhat unfair to paying guests. One standard charge for parking on departure, if at all. Very family friendly hotel, great facilities for young children including indoor play area, outdoor playground and huge swimming pool (including a separate kids pool). The family room was lovely and it had a fridge which was very handy. There was also a safe for valuables. The staff were very friendly and helpful even though they were busy. The food was lovely but the childrens menu was a bit limited. The only other gripe was that the underground parking spaces were tight, and there was a charge for parking even when you were staying the hotel. Overall we really enjoyed our stay and it was good value for money. My husband and I really enjoyed our stay in the Clarion Hotel Liffey Valley, we were attending a wedding function in the hotel on the night of our stay and it was very enjoyable, excellent food, friendly barstaff and a well laid out function room. The hotel was very busy with a lot of families and young children, I believe the children's club is very good with a good range of activities for children. 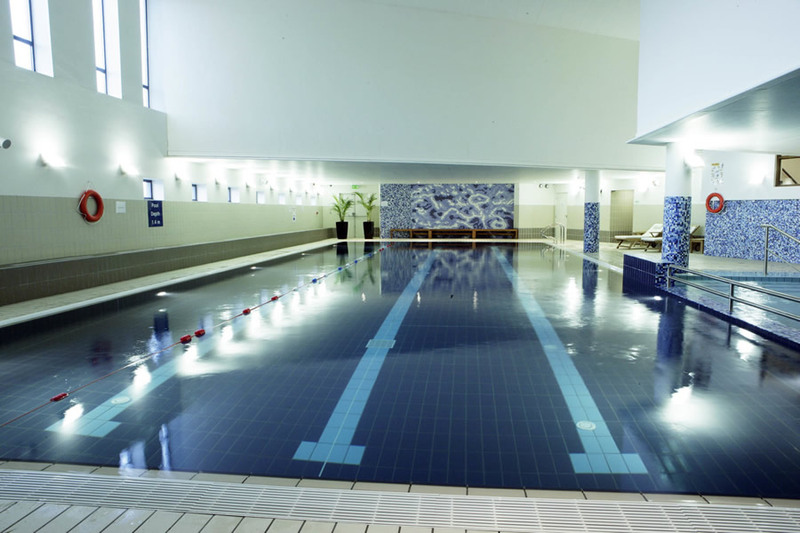 The leisure centre and pool is lovely, again, it was very busy, pick your time for a swim carefully and ask the staff when the best time to visit the pool etc is. The room was of good standard and clean with plenty of towels and extra pillows, it was warm and we requested a fan which was immediately delivered to the room, it was a little noisy with children playing in the corridor but this didn't bother us as it was nice to hear children having fun. The breakfast was excellent... again it was extremely busy and we did have to queue for a few minutes but we were seated extremely quickly considering the amount of people dining, it was a self service buffet, there was a good selection of breakfast items and it was kept well stocked.We enjoyed it so much we stayed for a 2nd night. The Clarion Hotel is just off the M50 so easy to find and we will stay again, I have deducted one star as I don't believe guests, especially those attending a function in the hotel should have to pay for parking. Stayed for one night, We booked a family room but were upgraded to a suite at no extra cost. Suite was clean and spacious and the breakfast was excellent as usual. stayed recently in the hotel found it very nice room was lovely but very hot even with fan and window open. When we went to book in near 6 o'clock our room wasn't ready so had to wait for about 15 minutes to get another room receptionist asked would we like to get something to eat while waiting but as we were meeting friends in town after 7 left us rushing. Also having to pay for the carpark at 4euro a night or if you over 3 hours parked there a bit much if you a guest in hotel. Staff was lovely and hotel was nice would stay again. Really enjoyable stay. Staff were great. stayed for a one night b&b plus dinner package. paying €5 per child for breakfast and whatever they eat you pay for at dinner. Kids dinner was €5.95 and deserts €3.95 which was very reasonable for dublin and food was lovely and great portion wise for kids There was an extremely friendly girl called Shauna serving us on the night. We were very pleased with the dinner we got but only downfall was it comes served with a very small quantity of pototatoe with no veg and all sides are €3.95 so if you were extremely hungry could get expensive. The hotel itself is lovely and clean and staff were very friendly. Nice play area inside for younger and older kids and the kids loved the outdoor playground which is extremely safe. Entrance only with room card. Breakfast was fit for a king. The only one downfall of the hotel is no air conditioning. The room we were in was extremely hot and as the kids bed was under the window it left it hard to leave window open at night. There was a fan which did help but again wouldn't like to have blowing the whole night. On a whole would definitely stay if returning to Dublin and would highly recommend for families looking for somewhere to stay. We stayed at Clarion Hotel for our daughters communion, all the staff were lovely room was very clean and plenty of room for 2 adults 2 children. We had a meal in restaurant and everything was lovely. Would highly recommend this hotel. Hotel close to M50 and that's a plus. Liked hotel itself but rooms themselfs, for some reason, too hot!? Kept windows opened all the time, checked radiators - stoned cold but still room was a bit too hot, and wheather outside was pretty chilly. Assume, hotel spent a lot on insulation. Secondly, advertised as pros Liffey Valley S.C. nearby has no grocery store in it for some reason! For our family of five with little children a pack of 1L milk carton in the fridge and few small items just to keep kids happy it came as unpleasant surprise. And I wasn't ready to pay over the moon in local newsagent if you consider prices in Dublin. Thirdly, I included dinner on my booking - IT WAS MISTAKE! Aparently, the bar (yes, bar, not restaurant) had two menu system in place: one ordinary menu and second for pre-booked dinners. Be aware - it never mentioned anywhere and a young lad at reception forgot to mention it as well I believe. So had to enjoy asian cousine (the only choice) at the bar on one of the nights. It wasn't bad but portions rather small and I really expected something different. And when a wife approched waiter to place our order on booking bill she was told that there was steak, sea bass, chips, chowder, e.g. for our booked dinner I felt totally mad and totally dissapointed! Does hotel staff really thiks I am some sort of James Bond to know everything and have the best in knowledge how this hotel in question is being run? Fourth, my eldest daughter badly wanted to attend swimming pool which we were told closes at seven even tough it displayed 9.30 at front door. So made shorter trip around Dublin then planned, also reduce time for Dublin Zoo (kids were happy) just to make it to swimming pool by 6 pm. Guess what, toddlers pool was closing at 7 pm, the main pool was opened up until closing time and my eldest daughter isn't a toddler! Thanks. Overall hotel isn't bad but has a lot of room for improvements, especially, in terms of communication. As a final touch I won't consider this hotel again and wouldn't recommend it either. The hotel is lovely and easy find when coming from Cork. We had planned to stay the night and get a taxi to the Olympia to see Peppa Pig. This worked out great, the girl at reception booked our taxi which was waiting for us the next morning. There was a lovely buzz in the hotel, the room was clean the only thing I found was the restaurant staff and manager were not great. I had booked the table for 8.30pm and as we had arrive late and I wanted a shower I tried to change the time to 9pm, the young man said that he couldn't change it for me and I wasted 10 minutes waiting for the manger Adam who never arrived. Eventually I told the young man that I was wasting time waiting and could he not just change the time for me. When we did arrive at 8.45pm and spoke to the manager Adam he seemed flustered and unsure as to whether there was a table ready for us or even there for us, bearing in mind that the table had been booked through your website since January!!!! and I only changed it 20 minutes before. The girl then took the 3 of us to a table for 6 in the middle of the restaurant!!! I had to ask to be seated at a smaller table away from the centre of the restaurant!! All in all the experience was great but I do think the service (not the young man or woman's fault) and management of the restaurant needs to be sorted and left the hotel down greatly. excellent value for money. Well located near M50. Perfect for families. Staff are extremely accommodating. We recently stayed and were travelling with a young family. Unfortunately the children became sick shortly after arriving and the staff were extremely helpful with changing bedding, ample supply of extra towels and unblocking a sink ay 7a.m.!!!! !The night manager in particular was extremely courteous and helpful. He went above and aboard. Have stayed in many hotels throughout Ireland and one recommend the Clarion as one of the best. I would like to say my visit to your hotel was not a good one,first when when arriving there was a very bad smell around reception and bar area second when we went for dinner it took half hour before we got our order taken as there seemed to be a lack of staff also our food was not cooked to order third was went we left the mess of a restaurant as again there was nobody to clean up we went to the bar to have a few drinks after 15 minutes we where asked to move into the front bar that wasn't to bad but again after an hour we where asked to move again as the bar was closing at 12.30 and there is no residents bar which we new t be untrue as we have stead here before one couple as early as last week.we where now sitting in the reception after we complained we where told if we wanted a drink they would get one for us,we didnt take up this offer and went to bed not having a good night. Had a lovely stay for the second time. Pool for the kids very good and the kids club. Family rooms very good only tiny complaint is the heat in the rooms, no air conditioning. Really close to the Zoo and National Aquatic Centre.